During his speech honoring 33rd anniversary of TPLF founding, Mr. Meles pleaded for the younger generation to carry the torch of the struggle to its final conclusion, which is to defeat poverty. In fact for those who do not know the history of Ethiopia in general, and Tigray in particular poverty was the source that lead to the founding of TPLF. Many of you who have no history of the problems that were facing Tigray. In those days Tigray was the heart of illiteracy, and poverty. Like all the other Ethiopians provinces, the Derge did not helped economically, and it did not give its native a chance to help themselves as well. In fact the primary duty of the fat generals of Derge at that time was to hinder the Ethiopian people from helping themselves economically. That been the case the children of Ethiopia rose to fight poverty. Many clever politicians who are anti-TPLF argue that Tigreans were persuaded by EPLF and Ethiopia’s enemy to fight the Derge. Therefore, TPLF could not be considered a nation wide struggle. This is a cleverly manipulation of true history, or maybe those who write history now were not in Ethiopia at that time. 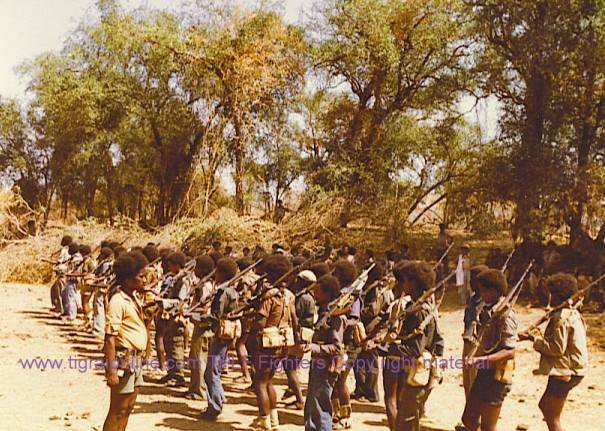 Some politicians and historians had no clue what was taking place in Ethiopia Thirty three years ago. How can they do? Most of the well educated elites do not know the life of an average Ethiopian. Many of these Ethiopians were the sons and daughters of Addis Abba elite. These Addis Ababa elite could not identify with the average Ethiopian who lives in the provinces. They equate the whole Ethiopia with Addis Ababa. Well my friends who see Ethiopia through the lens of Addis Ababa, perhaps maybe you should interview people who lived in the provinces thirty three years ago. Perhaps I can volunteer to be interviewed for you guys, because I lived the hellish life of those days. I was fortunate enough to survive, but I have very close relative who were not fortunate to survive. I have family who died of hunger, family who died in neighboring country while searching for food. I remember the days when I slept with empty stomach for many days. Unfortunately my story is not unique. My life was a typical life of a Tigrean during that time. It was during those terrible conditions that TPLF was born. TPLF was born to tackle the dire poverty that was grinding the Ethiopian people. However, in order for TPLF to tackle poverty, it had to destroy the Derge. It’s been seventeen years since the Derge has been destroyed. Since then TPLF’s policy has been to entice Ethiopians to build their nation. In fact the current government goes the extra mile to attract investors to Ethiopia. Its whole commitment is to wipe out poverty from Ethiopia. No opposition political group wills every say that EPRDF ever hindered them from developing their country. In fact there have not been any groups or individuals who have complied about EPRDF hindering their attempt to build their neighborhood, city, and nation. These facts attest to the true nature of EPRDF, which is to wipe out poverty from Ethiopia.